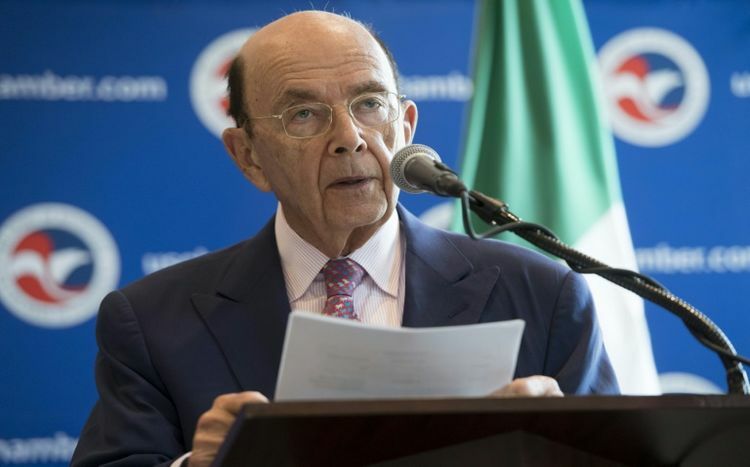 WASHINGTON - US Commerce Secretary Wilbur Ross said Thursday that Washington is pushing for a provision to terminate the free trade deal with Canada and Mexico after five years unless the president renews it. Ross said he and US Trade Representative Robert Lighthizer favor including such a "sunset" clause in the North American Free Trade Agreement (NAFTA), but it remains to be seen if it will be approved during the negotiations now underway. "It is policy, that's why we put it forward," Ross said, noting that he had floated the idea in columns he wrote during the election campaign. "Whether it will be agreed is a whole different question," Ross said at a conference hosted by Politico, a Washington newsletter. While NAFTA already allows any of the three partners to exit the agreement with six months notice, Ross said a sunset provision is a better mechanism because it would require "a systematic re-examination" of any trade agreement. Original forecasts about the benefits of NAFTA and other trade deals such as the US pact with Korea (KORUS) -- also facing renegotiation at the behest of the Trump administration -- were "wildly optimistic," Ross said. So a periodic review would provide "a forum for trying to fix things that didn't work out the way you thought they would." The Trump administration has made clear that its main objective in renegotiating NAFTA and KORUS is to reduce the US trade deficit and protect American jobs from moving offshore. Trade officials from Washington, Ottawa and Mexico City have held two rounds of talks on the 23-year-old NAFTA so far, and are due for a third round in Canada this month before returning to Washington. Ross said, as he has before, that the political calendar in all three countries means that chances of reaching a deal will dwindle if talks extend much into next year. Mexico's presidential election is in July, Canada holds provincial elections next summer, and US midterm elections are in November 2018. Ross said that trade negotiations and tougher trade enforcement are in the service of his primary objective: to ensure President Donald Trump is elected to a second term. US Commerce Secretary Wilbur Ross said Thursday that Washington is pushing for a provision to terminate the free trade deal with Canada and Mexico after five years unless the president renews it.